CNN misreported key details of an offer made to Donald Trump Jr. last year of a batch of stolen Wikileaks documents. The story, which CNN published on Friday and covered extensively on TV, was touted as the first evidence that the Trump campaign was given a heads-up about documents stolen from Democrats. But the story appears to have been riddled with errors, while also lacking key context. Perhaps the most jarring error in the CNN report is the date on which Trump Jr. was sent the email. The network reported that a person named Mike Erickson emailed Trump Jr. and others on the Trump campaign on Sept. 4, 2016, with a link to Wikileaks documents as well as a decryption key to access them. The email also offered access to emails that had been stolen from former Sec. of State Colin Powell, according to CNN. But a copy of the email provided to The Daily Caller shows that Erickson sent the email on Sept. 14. That date is significant because WikiLeaks had released a batch of stolen documents on Sept. 13. The group touted its release of the DNC documents, which were published by Guccifer 2.0. “It is too big for me to send you by e-mail attachments, but you can download it yourselves,” he added, providing a link to the same website cited by Wikileaks the day before. He also included a link to a decryption key that could be used to access the documents. The Washington Post first reported on the true date and wording of the Erickson email. The site that Erickson linked to leads to a page where a file with the same file name referenced in the Wikileaks tweet could be downloaded. Powell’s emails were also published online on Sept. 13. DC Leaks, a group that has been affiliated with the Russian government, published the documents online. The group granted access to the documents to several news organizations, including The Daily Caller. How CNN got its report so wrong is unclear. 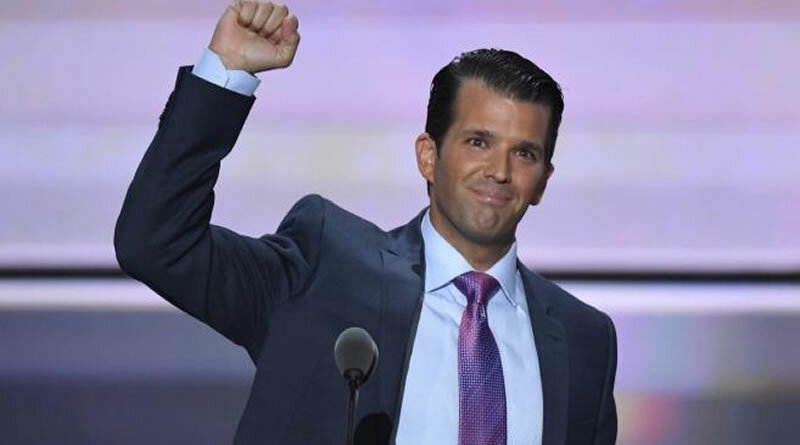 The article states that its information was based on a read-out of the Trump Jr. email provided by an unnamed source. Trump Jr.’s lawyer, Alan Futerfas, speculated on Friday that the source was on the Democratic side of the House Intelligence Committee, which interviewed Trump Jr. earlier this week. Erickson also appears not to be a super-secret Kremlin agent. The Post identified him as the president of an aviation management company. Attempts made by The Daily Caller to contact him were unsuccessful. Futerfas, the lawyer for Trump Jr., said that the real estate executive received “tons of unsolicited emails” during the campaign. “The email was never read or responded to — and the House Intelligence Committee knows this,” he said in a statement. Futerfas blasted the House Intelligence Committee over what he says is its leak of the story. “It is profoundly disappointing that members of the House Intelligence Committee would deliberately leak a document, with the misleading suggestion that the information was not public, when they know that there is not a scintilla of evidence that Mr. Trump Jr. read or responded to the email,” he said. The heifer won’t shut up. Or go away. Failed presidential candidate Hillary Clinton became visibly irritated during an interview with Australian TV when she was asked about Wikileaks and its founder, Julian Assange. 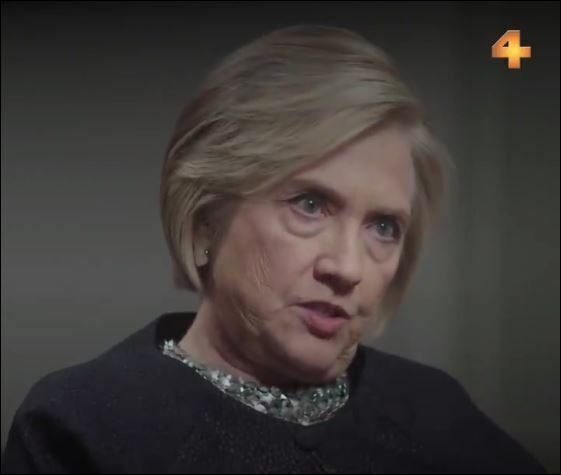 In the interview with 4corners, she appeared tired with bags under her eyes, and her bitterness over losing the election to Donald Trump clearly remained. “I think Assange has become a nihilistic opportunist who does the bidding of a dictator,” Clinton said, apparently referring to Russia’s Vladimir Putin. The interviewer pushed back on Clinton’s claims. “Isn’t he just doing what journalists do which is publish information when they get it?” she was asked. “There’s something wrong with Hillary Clinton. It is not just her constant lying,” he tweeted. Le Pen is in the lead. Despite the media and the CIA. Anti-secrecy organization WikiLeaks released a set of documents allegedly showing CIA espionage on candidates in France’s 2012 presidential elections. The seven pages of documents appear to be classified orders for intelligence operatives to gather information regarding candidates’ political strategies and internal communications. WikiLeaks’ release of the documents comes amid growing tensions between Trump and the intelligence community over leaks of classified information that have portrayed people close to Trump in a negative light. 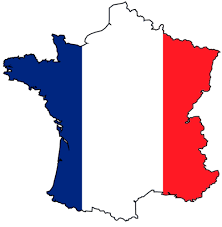 “All major French political parties were targeted for infiltration by the CIA’s human (“HUMINT”) and electronic (“SIGINT”) spies in the seven months leading up to France’s 2012 presidential election,” a press release from WikiLeaks states. “Analysts in CIA’s Office of Russian and European Analysis (OREA) closely watched the Oct 9th and Oct 16th Socialist primaries and will be closely monitoring the April 22nd and May 6th 2012 Presidential elections. Of particular interest is President Sarkozy, the Socialist Party (PS), and other potential candidate’s plans and intentions for these elections,” one of the three CIA orders released by WikiLeaks states. Instructions for CIA operatives, according to the documents, included documenting French presidential candidates’ political strategies, views of the U.S. and sources of political funding.